Alfonso Albaisa: ‘The Nissan Kicks is tailored with Japanese technology for India’. I was in India around 10 years ago when we started looking for a site for our technical centre, I was involved in that. I moved around Chennai, Bangalore, Mumbai and now I have come back. Things for Nissan have not progressed as per the plan. 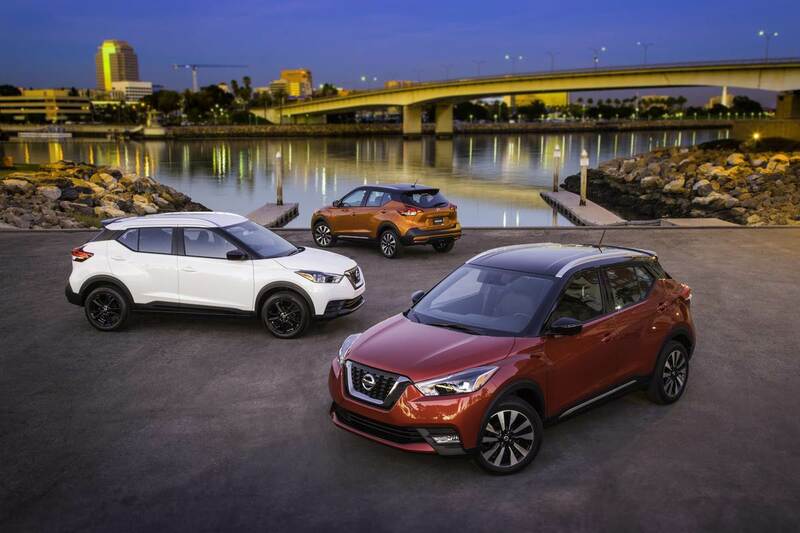 Now you are preparing for a fresh new effort, and a lot of it hangs on the Nissan Kicks SUV. What are your expectations in this new chapter, if I may call it so? We are very excited about that. The Nissan Kicks has been a success globally, and so the idea of it coming to India is optimistic. And then there are some additional opportunities that come. The Nissan Kicks is a bit different, it is more Indian then global in a sense. It has a bit of different proportions and has been tailored and engineered here. This is a new look, a new chance to showcase Nissan’s DNA, a great exciting design for everyone. The Kicks is a lively, dynamic small SUV, which is robust with a very agile drive for the city. And when you get on the inside, you have a huge screen, lovely craftsmanship of the interiors, Japanese technology for India, so it represents Nissan. What are the unique factors or features of the Nissan Kicks for the Indian market? Difficult to go into the details, but very soon you will know. It’s a slightly different size compared to the global model and the tonality, design intent is very similar. The interior is a bit more roomy and from the stance, it's more of an SUV than a crossover. The technology and connectivity are very nice too. These are all by looking directly at what’s happening at the really tough competition in India, and the size of the vehicle in this category, which is a new category. We feel we have a unique space inside of that. Is this what you meant when you spoke about the responsibility of the Nissan’s Indian team is to be the eyes for Nissan in India. And can we expect a sub-four-metre derivative from Nissan in India? We can talk very little about the specifics. About our future plan, I did mention about the eyes (Indian team); they are also the hands, and what I am going to ask them is to study very carefully the launch of the Kicks and the things that are working well. Also, to understand how we are going with Nissan technology, study the Leaf EV that we are going to bring and how all of these Nissan’s Intelligent Mobility pillars are working in India. Essentially, bring me ideas of new products that we are going to be asking them to help shape Nissan in India. We have plans of growing our studio, and we also have a great alliance partner in Renault, which will help us grow quicker. They are going to be my eyes on a daily basis, but also my artists and people to mirror the society in India. Does this mean the local team will not just be executing global orders but also come up with projects and proposals? Yes, and I think maybe a bit of reflection of my own movement in the company -- my 30 years with Nissan. I wish it was less, but I have to embrace my age. I have found Nissan to be a company where you bring ideas, it listens and it innovates with you. This is what I am asking of my studio, that they should of course do the necessary work, which is to make sure that, along with engineering, we make excellent cars, we animate them and keep them alive with all the special versions that are so popular in India. But also to speculate, to risk, to guess, to jump and bring us some very interesting ideas that we have never considered before. What do you think didn’t work out for Nissan in India, so far? I think there were circumstances just when certain platforms were coming in and out. And the delays didn’t resonate well with the speed in India. The sense of fresh, modern and keeping the portfolio alive is super important. So moving forward, we will launch the Kicks and bring in some minor changes, and the company rejuvenates Datsun to make all the offerings of our company (both Nissan and Datsun). We are a company that, within the segments, wants to be the fresh one. This is the fundamental requirement, Job 1 for the team in India. It starts with the Kicks and will be followed by other things. Are you also trying to revive and refresh the Datsun brand? Datsun will go through a change organically. In a big company, it's when a platform changes, when it comes to the end of its life, and the company makes a decision to renew and incorporate new wave of regulatory actions. There was a perfect chance a year ago or so, to start and reshape Datsun. Datsun is about love. Let me tell you a story, of my growing up in Miami. My grandfather, who left Cuba later than us in the mid-1960s, was a professor in Cuba for most of his life. He came to the USA without a single dime in his pocket; he was 60 years-old at the time, not exactly the perfect time to start a career in the USA. But he was very fortunate to land a job in a factory, sewing shirts for a company that doesn’t exist anymore. It was a very difficult start for him and adjusting to life in the USA. He saved enough money and came home one day with a shiny brand new Datsun, his first car. I still remember the look on his face, and I want to bring that look to everyone. It was the first new car in my family, the choice of colour was dark green, very '70s. But to bring that level of quality, the charm, the feeling of a new car was something that I will never forget, and my job today is simple. Datsun needs to be oxygen for everyone, not like Nissan that in the sense represents something fresh, something pure in every segment. Nissan represents high-technology and the Nissan intelligent mobility has a slightly different tonality and we keep the brands separate but both of them need to occupy this freshness. In terms of contributions from India, I understand that your team is still young. Could you tell us if there are any examples of contributions from India to any of your global projects or ongoing projects? The studio is new so I cannot use any tangible examples right now, because my team is so young, but I can tell you about my company, Nissan. There is a slightly famous car, the 350Z. The revival Z, I don’t know if you are aware of it, it was designed by Ajay Panchal, an Indian. The global one-tonne pickup truck, the Navarra, was designed by Hiren Patel and the California studio and he is currently a manager in California, managing the trucks that I have in the US and some global projects. So I have been able to leverage the talent of India even before my studio. I am hoping that these are heroes for the next generation and that they will achieve that level. Kind of a big example for them to kind of follow. You have got some iconic cars, the famous GT-Rs or the Godzillas and now you have taken up this role after some accomplished designer. With you having started your journey from Infiniti, how easy or challenging is it to kind of follow or take a story like GT-R forward? He said it in this manner and at first I was not sure what this comment was because you usually want your car to be beautiful. But he explained that if you want to respect the culture of a car, for some cars, it is so big that they are more important than the metal that makes them and the GT-R is one of them. The roots of the GT-R and where they come from is not from beauty, it is from Godzilla. Even at the Goodwood Festival, where we were showing the celebration of men and women, it was a sheer matter of the aluminium and carbon fibre celebration of a history. It is not the next GT-R. But once again to see it lined up with some cars that cost 2 million euros, the 700,000 euro GT-R, which is still huge money with a catch-me-if-you-can or even catch-me-if-you-dare attitude, that is GT-R.
To be a designer for Nissan is to know that you will jump from a GT-R to a Z car to a Cube to a Micra to a Qashqai, our spectrum definitely has more colours than a rainbow. And as the industry progresses towards adopting these new megatrends, primarily electric mobility and autonomous driving, how quickly should you expect a new trend in automotive designs, not necessarily for Nissan but generally because then the canvas is suddenly huge for the designer? The potential of the EV platform, as you said, is a revolution because at the end of the day it is a flat pack of batteries and electric motors are so small like water melons and everything else is in support of those two things. Even the steering is electronic now. In Infiniti cars you have the steer-by-wire and shift-by-wire. You don’t need a wheel , you can have a joystick, the potential is infinite, but we are still making cars for human beings and they have dreams and desires of what is cool and what is hip. What has happened is that our canvas is a little bit easier to get there. We have a little bit more of freedom, but we are still in the beginning and there is still more to come by. 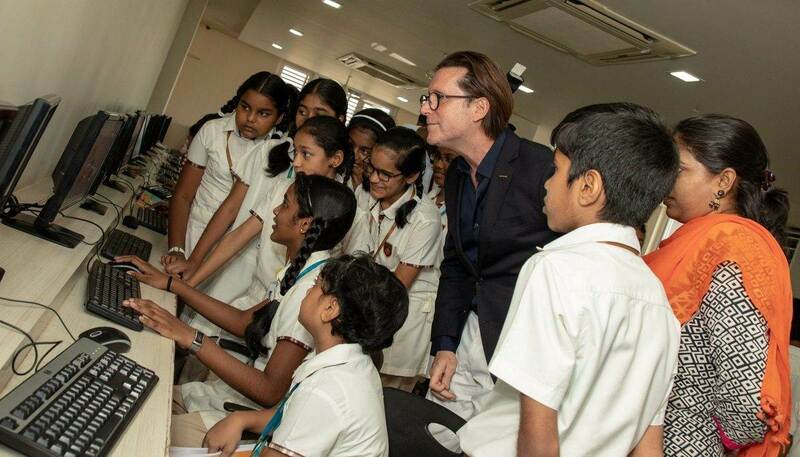 Lastly, at the Chennai school, for the 'Roots of Design' programme, I believe you were addressing students and their parents in the school. Do you do this in all the market countries that you go to or have you done it only in India. What is it that you observe? This started about a year ago. I guess it started before the humbling experience of being the head of the design studio of a major car company, a Japanese car company with a great history of wonderful cars and iconic ones and for a Cuban immigrant to be the head of design, it is an honour. For a kid who didn’t have the best grades, to be honest, couldn’t concentrate but showed some ability to draw and to receive this cocoon of support and love, allowed me to deflect the pressures of society. When I was talking about it with our communications people, I said, ‘Do you mind if we start an activity where when I go to a business trip, I need your help. Can you reach out to the high schools and to the parents of the children and make a forum where we could talk and for the parents to be able to use me as a resource that if they have question or doubts, they can ask me? What is in store for their child if their child wants to be a designer? I have seen thousands of designers in my career and I know the avenues they take. I know fashion designers, architects, every type of designer and I can help them understand the journey that their child is going on and simply help them. What I found in India was simply stunning. It is a bit tear-jerking in the sense of the kindness in the kids. I have great hope in the future where 15-year olds can be so polite, so generous and so curious because when you have a tendency where children are polite or humble or something like that or quiet, their questions are deep. There was a question from a 15-year-old that how the company considers the ideas that are lost as waste and do I feel pressurised as a manager about controlling that or justifying that. There were deep questions and we had a great discussion about how the company values failure in the design process. At the end of the day, I have 800 people in the group, but we do more than one car at a time. Most of the ideas of my team don’t make it to reality. It is not a waste, it is an investment. So we were able to talk about that with young children and the parents could understand that to be a designer is a mature activity. It is a business, but the criteria of that business is little bit different than the other ones. So my hope is there is something good in it and I found that the level of the students was very high.